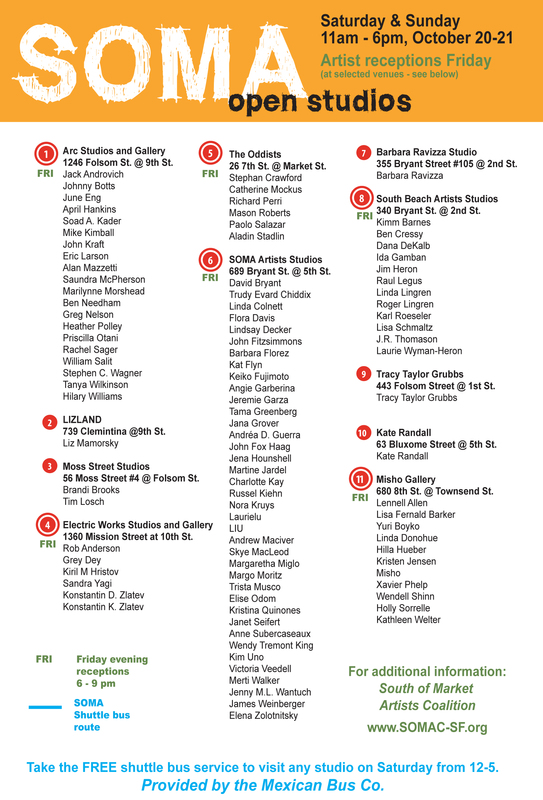 Fall Open Studios is coming up soon! My studio is at SOMA Artists Studios and our Artist reception is October 19th, from 6-9pm. Hotel Utah will be out front grilling up some tasty food! Tags: arts, hotel utah, Open Studios. Bookmark the permalink.